There’s a dark cloud hanging over marketing leaders heading into the new year: last year’s mistakes. You’ve analyzed what went wrong, implemented a fix and have a plan to measure your efforts. Sounds nice but it doesn’t always have you feeling too good. One common mistake I’ve seen from marketing leaders revolves around their event strategy. 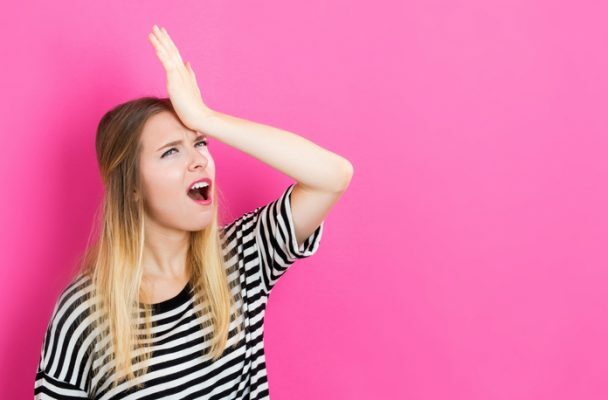 So, what exactly are today’s top event management mistakes? And how do we avoid them? As a marketing executive, you don’t typically understand every element that drives event performance. You know you want each event to leave a positive impression on attendees. You want a wow factor. You want to differentiate from the competition. You want to grow. How do you help your events team understand how to translate new trends into these business outcomes? Identify a couple quick resources for event management insight. Focus your team on driving business outcomes instead of event tactics. An event is a series of brand touchpoints. There is the booth, the collateral, the appointments, the speaker’s slots, etc. But are you leveraging this platform to its full potential? There are many functions that should be considered and looped in. There are many other interactions that can be leveraged like roundtables and advisory boards. If this is the best representation of the brand, consider all ways to leverage. An event is a lead generation channel, but an event is different than most other lead generation channels. Digital channels are a science. Prospecting effort is a numbers game. But events are a little more…old school. They are relationship builders and brand impressions. They are treated separately and are not to be compared! But how do we ensure that events are wrapped into our campaign strategy? Events may be the center of a campaign, or a channel in many campaigns. Many marketing leaders are struggling to find their events’ place in their greater marketing strategy. If you cannot measure it, you cannot prove its value. Building on the last mistake, measuring event performance is a major challenge. Other channels typically have a path from lead to MQL to SQL to opportunity. At events, there are typically fewer leads, but a higher conversion to opportunity. And more customer interactions focused on renewals and upsell. Having a plan to measure drop-ins, speaker slots, demos and more is critical. This is not a channel where cost per lead is the best unit of measure. Instead, focus on the cost per SQL, which is typically more attractive. Kryptonite for an event strategy is the belief that the value is intangible. This automatically relegates the strategy to the fluff pile — "Events are where the customers are! We can’t be the only ones not there!" Instead, put hard targets on leads for the metrics mentioned above. And if there is something truly intangible about your events put a number on it. Suggest that events produce x% of the SQLs per dollar spent in other channels. And that 1-x% of the value is intangible. Just get your CFO to agree to this intangible %...and keep it under 20%. Event management is a core strategic initiative for marketing leaders to leverage. It engages with customers in ways no other marketing channels can. It is a complement to the digital and more static channels. Being thoughtful will not only improve event performance, but also marketing as a whole.